There are so many issues we could discuss to affect positive change in today’s world. 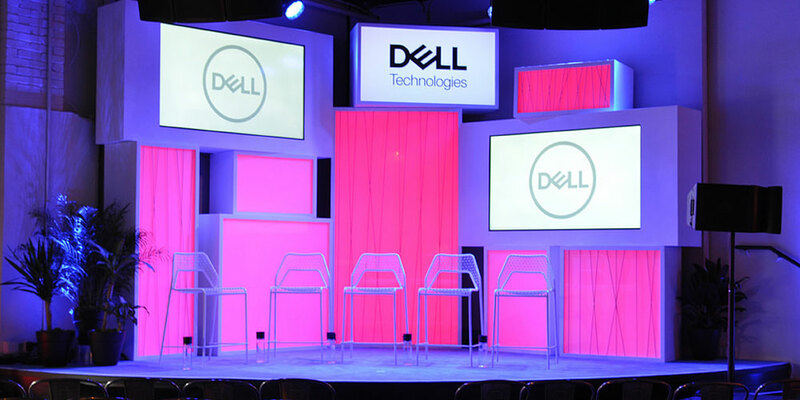 At Dell, we want to use SXSW, where so many people intersect, to get people to the table. We want pressing public policy issues to be discussed. We want the conversation to be a starting point. That’s why when we laid out the plan for 2017’s upcoming SXSW in Austin, TX, we mapped out a different agenda. We are going to do more with this weekend than throw cocktail parties, network, or highlight our products (which are cutting-edge and consumer-driven – still had to be said!). How are we going to do this? Over the course of the next three days, we have taken some of the most relevant stakeholders, members of Congress, and honed experts to discuss a wide-range of public policy issues that are challenging society. Entrepreneurship is part of our DNA at Dell and we know that entrepreneurs and innovators are the engine that drives the world economy. We want to create a better climate for entrepreneurs to thrive – not just by bringing the best technologies to empower entrepreneurs in the new world of digital transformation – but also by working with leaders, policymakers and the public and private sectors on improving entrepreneurs’ access to four key elements of success: talent, capital, markets and technology. Instead of bringing entrepreneurs and innovators to D.C. to meet with policymakers, we think it’s best to bring the policymakers to SXSW to meet with the entrepreneurs and innovators. Rather than having discussions in suits in the halls of Congress, we are having discussions in jeans in Austin. We’re excited to be hosting a wide variety of events to tackle some of these issues – everything from panel discussions on how government, entrepreneurs and the tech industry can work together to solve policy challenges; a math competition with seventh and eighth grade student and members of Congress; an interactive policy hackathon (think American Idol meets Shark Tank); a “fishbowl” discussion on diversity and inclusion; and conversations with veterans who are innovating and starting companies. How tech companies are fostering a culture of inclusion, and how government can further incentivize. What should government be doing to encourage women entrepreneurs? What should they stop doing to discourage women entrepreneurs? Advances in technology have radically impacted almost every aspect of our lives—except how we vote. What are the policy implications of using various forms of available technology to simultaneously increase voter turnout and the security of our voting system? The government has data on everything from which sewer lines are in use most to which restaurants violated the health code this year. Entrepreneurs everywhere could use this data to build their businesses and help the government accomplish its goals, so how can we put this data to collective use? What are the policies we need in place to support a digital economy? It accounts for one-third of the U.S. Economy or roughly $5.9 trillion. Why are younger generations less active in government and how can we change that? Two of the youngest members of Congress will talk about how to approach civic engagement for maximum result. What are the next steps in the transportation revolutions and how will policy adapt? What are some of the policy challenges that a home sharing world presents and how should Congress address these legislative issues? We must roll out broadband to rural areas in order to bring the benefits of tech to every person and sector of the economy. How can we create more public-private partnerships to address rural broadband access? Last year at SXSW this topic was raised during the government track – we listened and will report back. Diversity in tech, diversity in government and the policy implications of each. What role can and should the government play in preventing, responding to and mitigating cyber-attacks, and what level of cyber-attack constitutes and act or war?